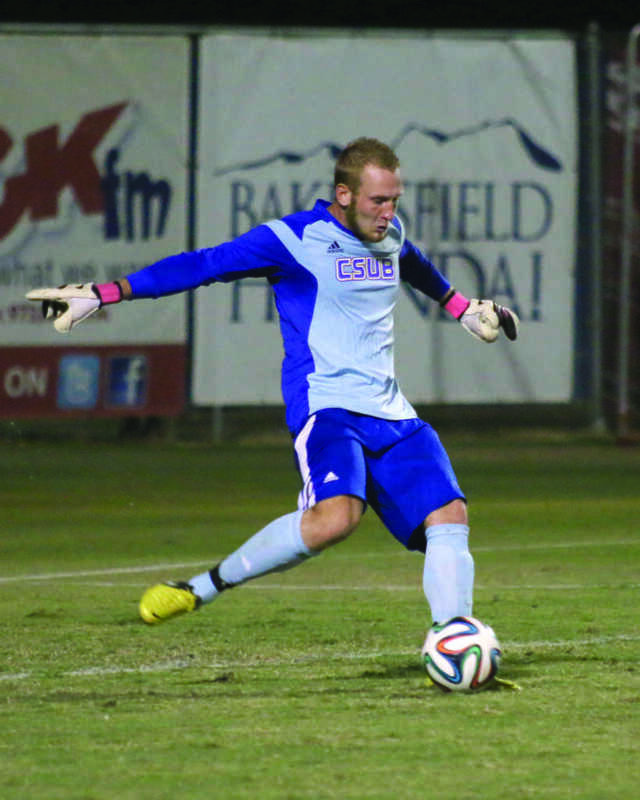 It was a rough end to the 2014 season for the CSU Bakersfield men’s soccer team. 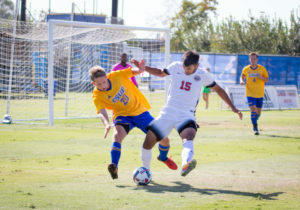 The Roadrunners lost in penalty kicks (4-2) to the University of Nevada-Las Vegas at the Western Athletic Conference Tournament championship game on Nov. 16. However, CSUB is using that loss as motivation for this year. Grant said that the way they lost last year in the finals was very disappointing and the only way for them to right, it is to go and win the WAC this year. As of Sept. 9, the Roadrunners have started the 2015 season 1-1-1. 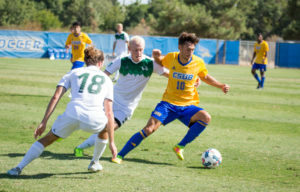 CSUB lost its opener to the University of Denver 1-0 on Aug. 29. 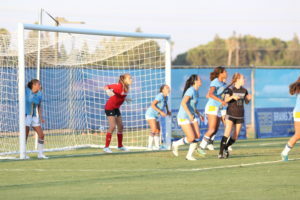 It bounced back with a 2-1 double-overtime victory over UC Davis on Sept. 4. 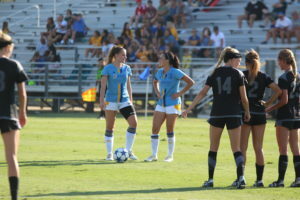 Then the Roadrunners tied with the Sacramento State Hornets 1-1 on Sept. 6. The Roadrunners’ next game will be at the University of San Francisco on Sept. 24 at 6 p.m. Some of the key new players are junior midfielder Adam Arana, who transferred from Drexel University and freshman midfielder Samuel Zimmerman, who is from Luzern, Switzerland. 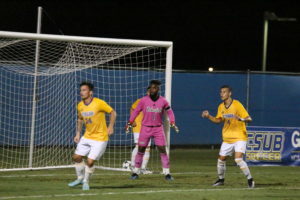 Some of the key returners for the Roadrunners are senior midfielder Christian Duarte, who finished with five goals and five assists last year; redshirt-sophomore forward Julian Zamora, who led the team in goals with 12 and game-winning goals with three; senior midfielder Mario Iniguez, who had one goal last year; senior forward Simon Doherty, who was the second-leading scorer with six goals and junior goalkeeper Nicolas Clever, who started all 21 games, finished with 79 saves and had six shutouts. Grant said a major difference from last year is that they lost some of the experience the team had last year. He said that the strength of this year’s team is that they will be able to score goals. 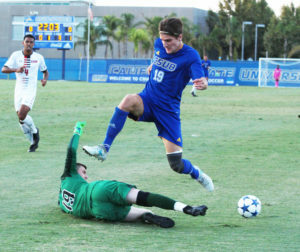 Duarte, who scored CSUB’s lone goal against Sacramento State, said that his expectations for this year are to win the conference and win the conference tournament. Grant said that he wants this team to play well and win at home. 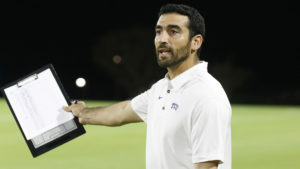 He said that his expectations for this year are to win the WAC.